Everyone needs a little whimsy in their life. Our St. Pete old time ice cream parlor delivers a dash of nostalgia along with delicious sundaes, shakes and banana splits all crafted from local, homemade small-batch ice cream. Savor the freshness of your favorite flavor anytime. You can also fuel up with a cup of aromatic, freshly-brewed Starbucks coffee and your favorite breakfast bites, including bagels, pastries, fresh fruit and healthy yogurt. 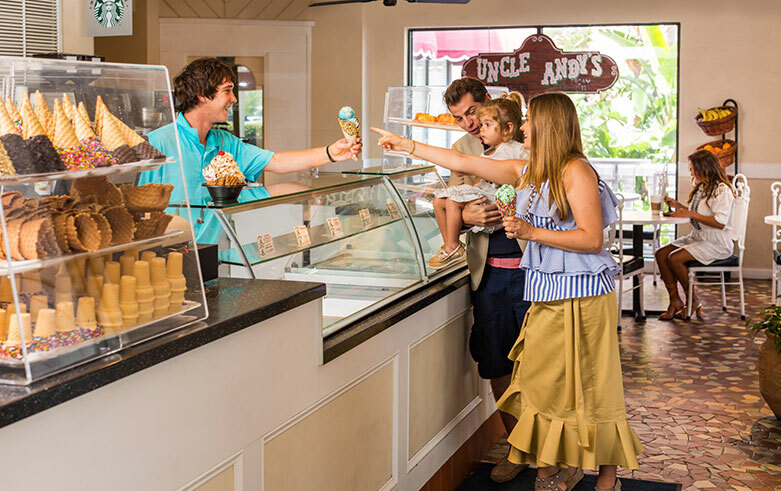 Uncle Andy's Ice Cream Parlor is the perfect place to start your morning, recharge after a day in the sun or satisfy your craving for a sweet treat after dinner. Savor the satisfying aroma of freshly-brewed Starbucks coffee and enjoy hand-crafted hot and cold specialty drinks anytime of the day. 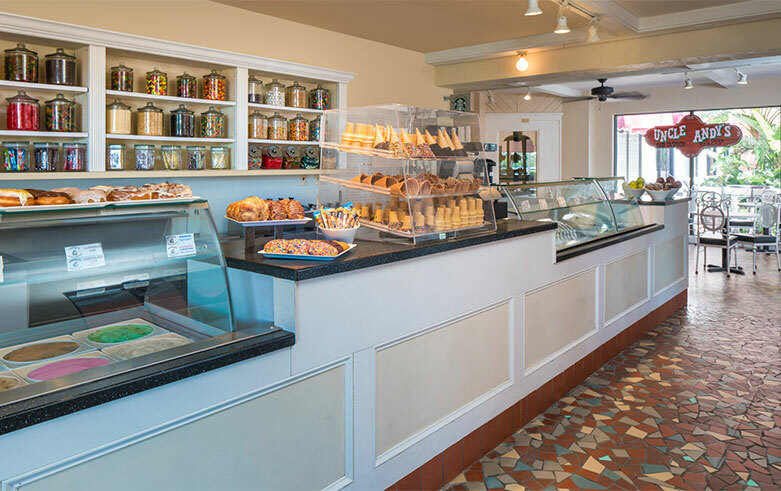 Only the best, local ingredients and loving care go into every homemade batch of ice cream at Uncle Andy's. Indulge in the freshness.